I’m taking over the forum this morning to bring you this fun game. I have a bunch of keys for games from humble monthly. For everyone who comments between 10 and 2 pm today, I will enter your name into a hat for a free game. Wow! Please take my stuff. Please. You get a game! and YOU get a game! There are some decent games in there! I’ll compile a list maybe or you just look through the last two years worth of humble monthly and pick out something nice deary. Way to go you monsters. This game didn’t deserve to die such a terrible terrible death. But you all took perverse joy in watching it fail. Admit it. So for today’s forum, have you loved a game so much only to see it sink and slide into an ignoble death? The DirecTAYry really needs to be updated. Someone help me. Did you know TAY Plays Board Games? 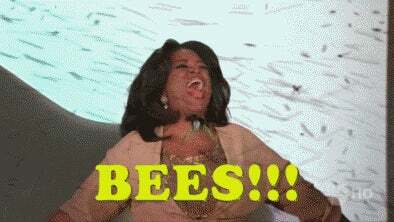 (*stares at improperly sized header gif*) BEES!